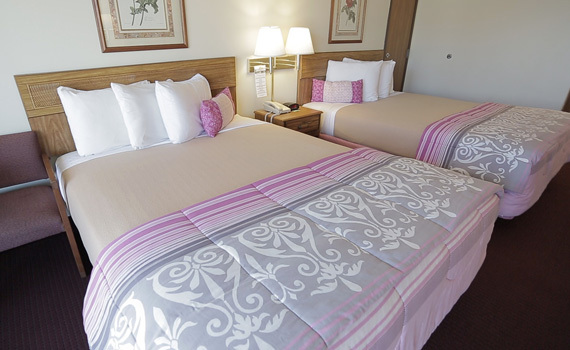 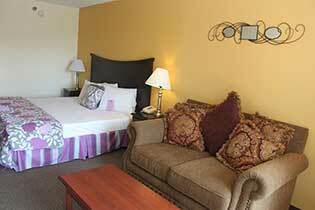 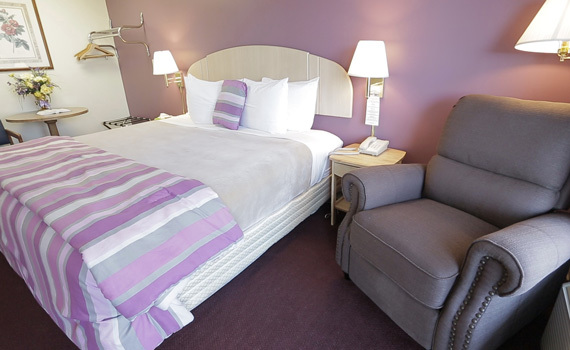 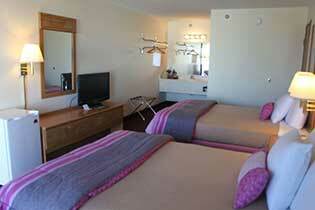 Enjoy our clean and comfortable standard rooms with two queen size beds on our second floor. 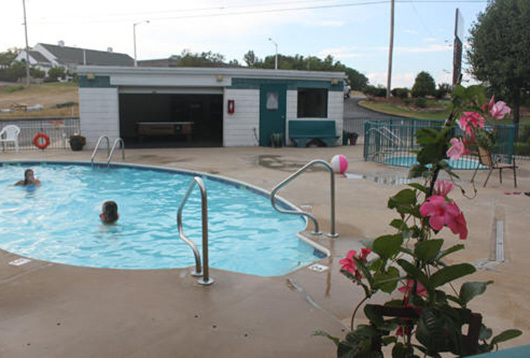 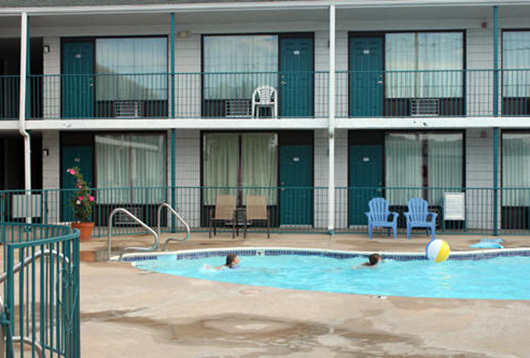 Hot Continental Breakfast, Coffee Maker, Alarm Clock Radio, Electric Door Locks, Free Local Calls, Free Wireless Internet, Cable TV, Hair Blow Dryer, Outdoor Pool, Hot Tub, Sitting Table & Chairs (lighted vanity), Iron & Ironing Board (available at front desk), Refrigerator, Microwave available for $6 per night. 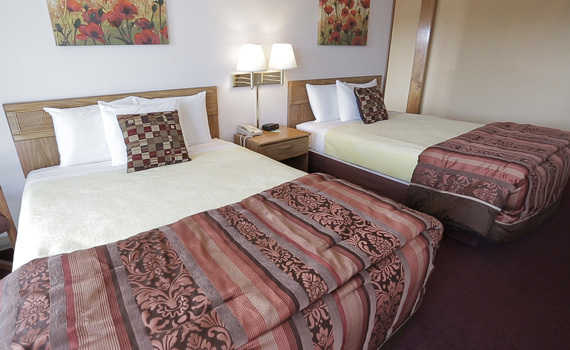 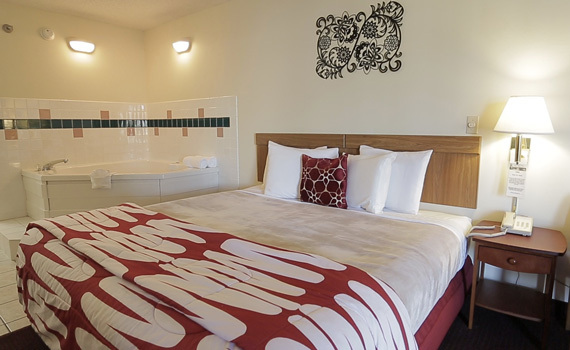 Enjoy our clean and comfortable standard rooms with two queen size beds. 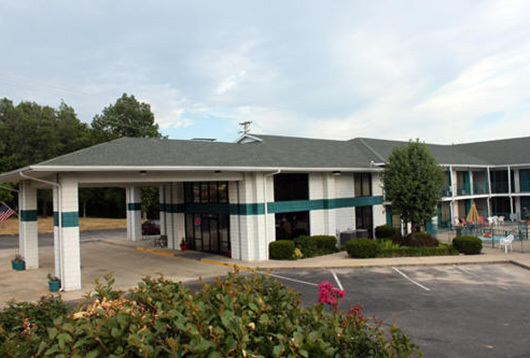 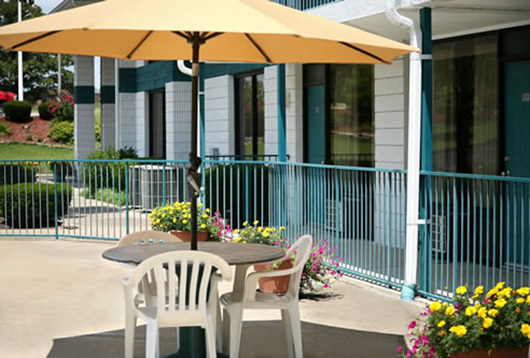 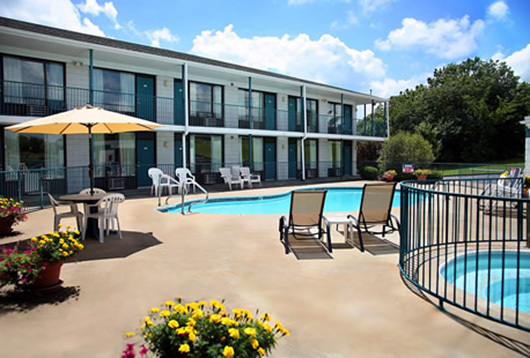 Hot Continental Breakfast, Coffee Maker, Alarm Clock Radio, Electric Door Locks, Free Local Calls, Free Wireless Internet, Cable TV, Hair Blow Dryer, Outdoor Pool, Hot Tub, Sitting Table & Chairs (lighted vanity), Iron & Ironing Board (available at front desk), Refrigerator, Microwave ($6 charge per stay). 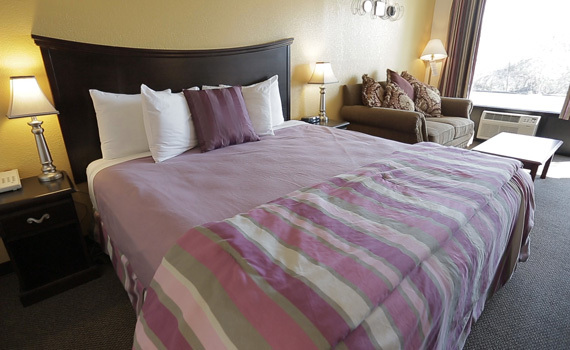 Sleep and stay comfortable in our spacious king rooms with one king size bed. 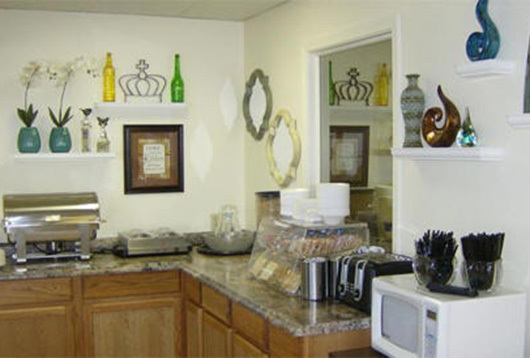 Hot Continental Breakfast, Coffee Maker, Alarm Clock Radio, Electric Door Locks, Free Local Calls, Free Wireless Internet, Cable TV, Hair Blow Dryer, Outdoor Pool, Hot Tub, Sitting Table & Chairs (lighted vanity), Iron & Ironing Board (available at front desk), Refrigerator, Microwave available for $6 per night. 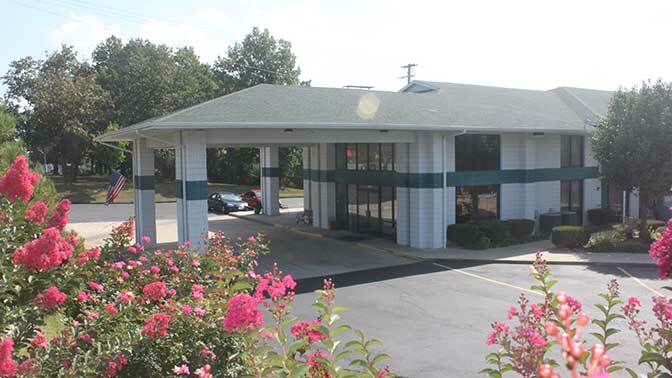 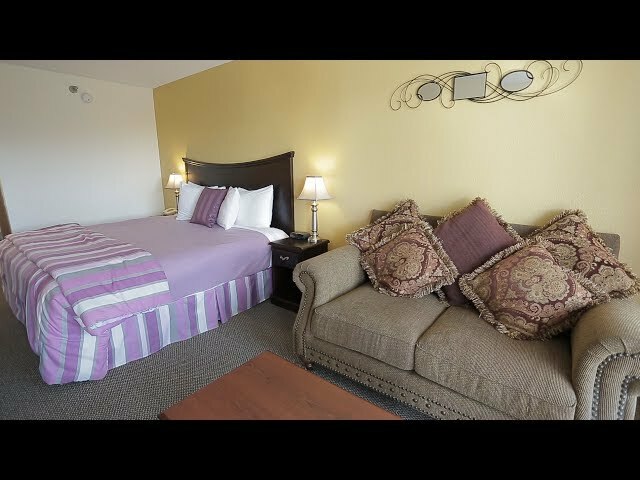 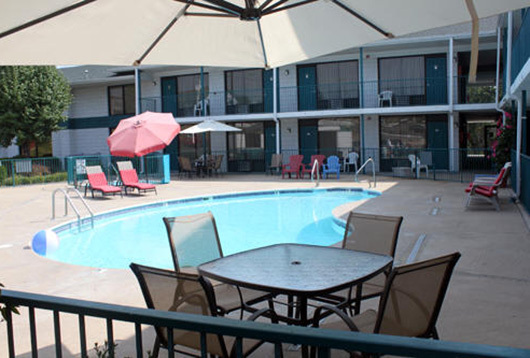 Amenities: 32" Flat Screen TV with cable, Hair Dryer, Alarm Clock / Radio, Coffee Maker, Refrigerator, Microwave, Recliner, Complimentary Breakfast, FREE Local Calls, FREE WIFI. 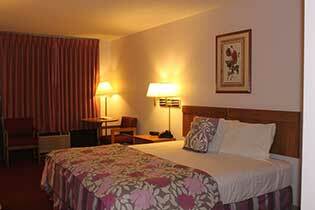 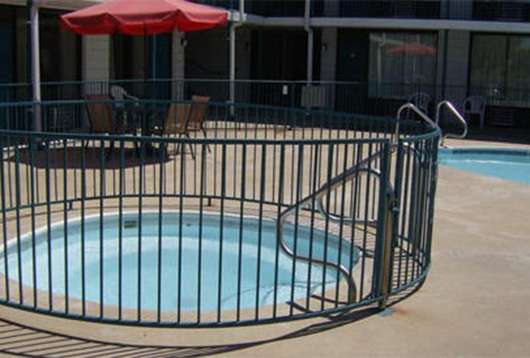 (Available at front desk - Iron & Ironing Board) Description: One king size bed in room with a cozy recliner on first floor. 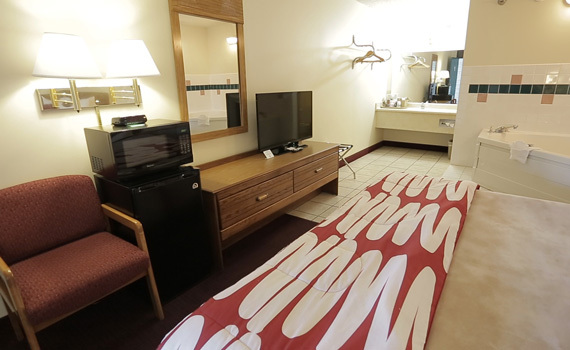 The room has upgraded bedding package, table and chairs, and with an oversized bathroom. 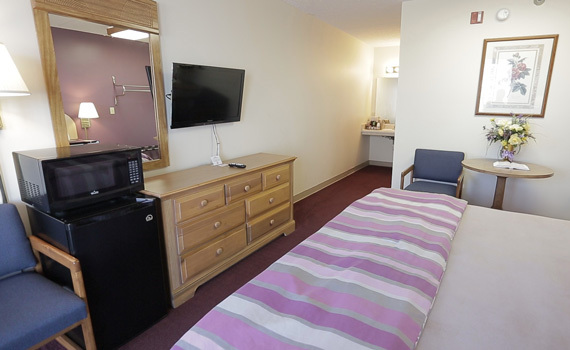 Amenities: 32" Flat Screen TV with cable, Hair Dryer, Alarm Clock / Radio, Coffee Maker, Refrigerator, Microwave, Complimentary Breakfast, FREE Local Calls, FREE WIFI. 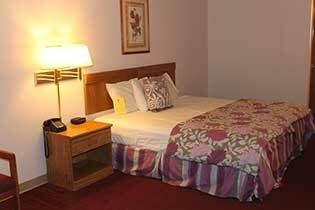 (Available at front desk - Iron & Ironing Board) Description: One king size bed in room on first floor. 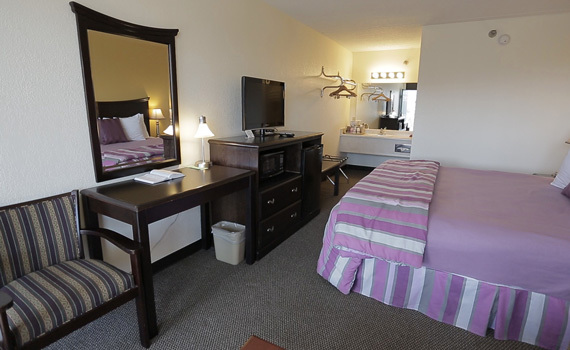 The room has upgraded bedding package, table and chairs, and with an oversized bathroom. 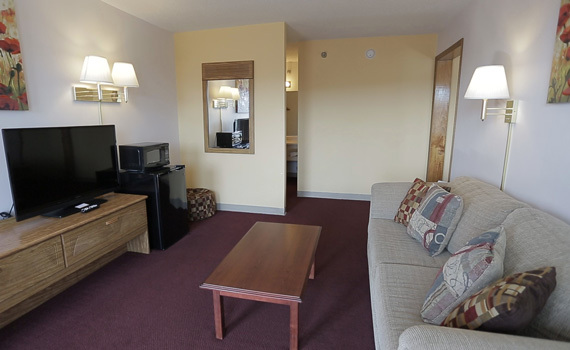 Family room has TWO TVs, in one room is 32" and other 42" TVs with premium channels. 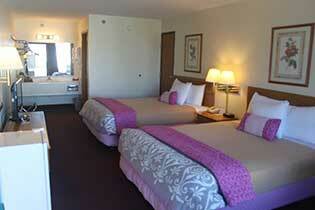 Each room has separate bathroom and in room sink. 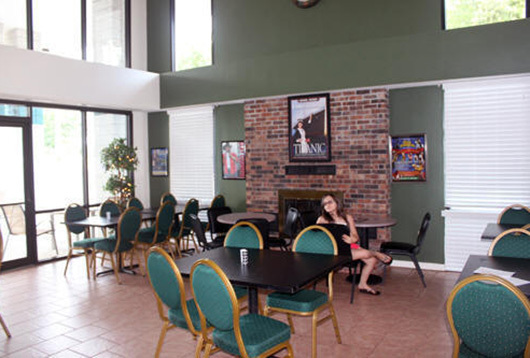 The living room has oversize fridge and micro.